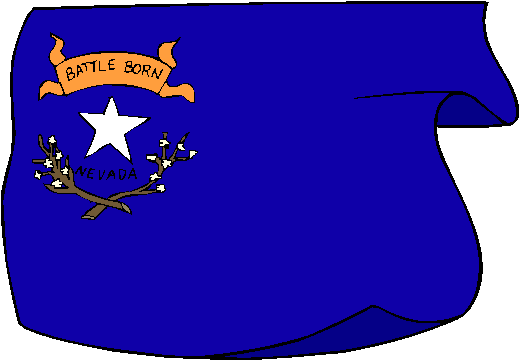 The flag of Nevada is a blue field, with a star in the top corner. The star is surrounded by a banner bearing the words "Battle Born" (above), and "Nevada" resting on two sprigs of sagebrush (below). The flag is based on the winner of a 1926. Some revisions were made in the state legislature, and the flag was adopted in 1929. However it was discovered in 1989 that the bill sent to and signed by the governor did not reflect the legislative intent, and so a new state law was introduced in 1991, finally making the flag official.